FollowMee GPS Tracker | FAQ | What is login token? Can I have my users to install and set up this GPS tracker app with my FollowMee account, without knowing my account password? To set up the GPS tracking app, it requires your account user name and password. If you need your users to install and set up the GPS tracking app in their devices and you cannot disclose your account info, the Login Token is your solution. This is a 12-character long string that linked to your account info. When your users enter it to the GPS tracking app setting, it sets up the app with your account user name and password. In this way, your users can set up the GPS tracking app without knowing your account password. 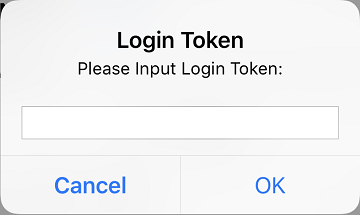 Generate your login token on your account page. 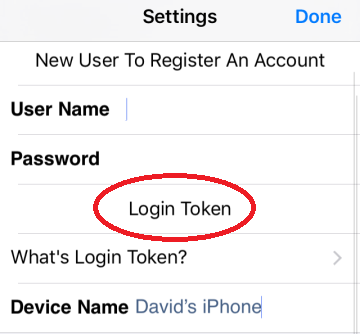 Send the login token to your users, who can enter it to the app settings screen. Please note that your users can access the online map through the tracker app without login. You can disable this option in your account page. See this FAQ How can I stop the users from accessing the map without sign in? for more information.